Single-serve hopper based brewers for a full service solution. Give your office a makeover with a state-of-the-art hopper based coffee brewer. Hopper, ground coffee and concentrate single-cup brewers deliver a more convenient single-serve solution with the classic coffee you’ve grown to love. The Avalon Petite R is the perfect single-cup brewer for ground coffee, with its new trendy stainless steel finish. The Petite R advanced coffee brewing technology provides convenient, affordable and flexible solutions to meet the coffee needs of today’s increasingly savvy consumers; on-demand, one cup at a time. Programmable options: cup sizes, brew strengths and product settings. 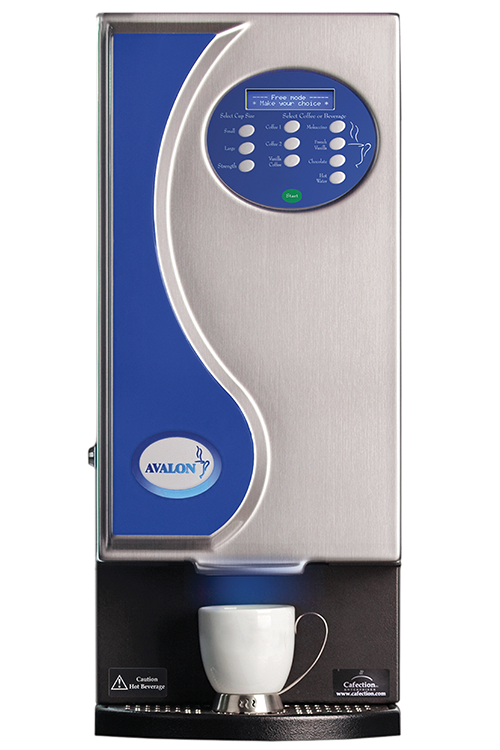 The Avalon Quatro is a single cup coffee brewer that includes the nation’s favorite hot beverages. 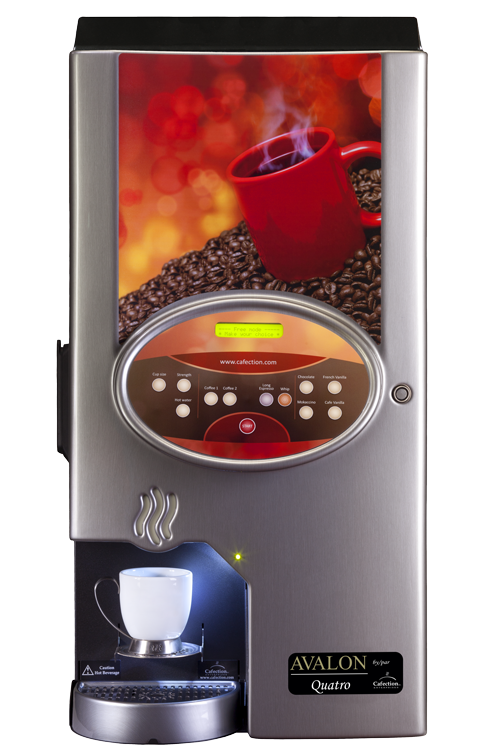 Enhanced with an easy to use interface that welcomes the user to a selection of coffees and hot beverages, suitable for a multitude of settings and the convenience of providing guaranteed freshness one cup at a time, anytime.